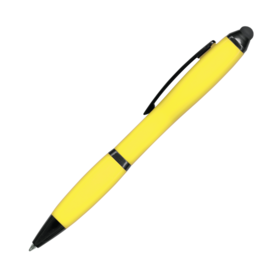 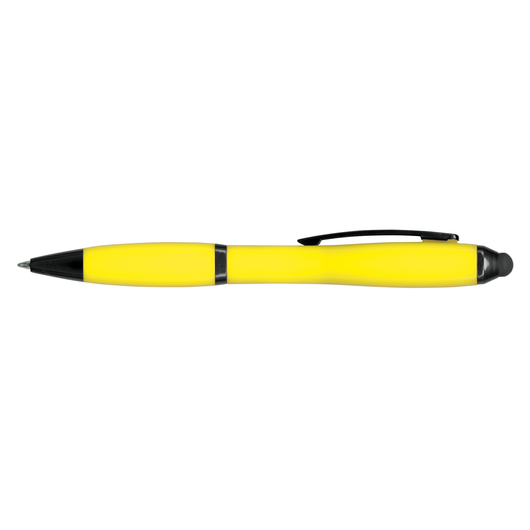 A twist action ballpen with matching colours and black trim waiting for your logo to be printed on them. Eye-catching in a fantastic range of bright colours! 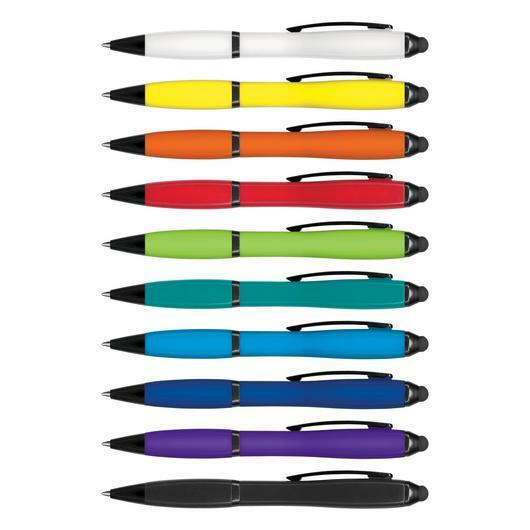 These twist action metal/plastic ball pens have black trim with a stylus for use with touch screens. Not only that but each pen includes 600m of German made black ink and a tungsten carbide ball for improved writing performance.